Uniform tops can be purchased from the uniform company at the following website: pmgscoolgear.com All uniform orders placed by 7/26/2017 will be delivered by 8/8/2017. Order online by July 26, 2017, and receive 10% off your order and Free Shipping with an order of $50. or more. 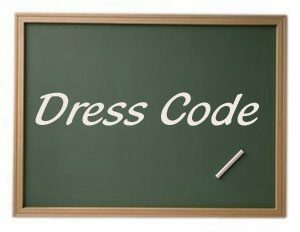 All Jewett Academy students are required to wear standard uniform dress, according to the Dress Code set forth by the School Advisory Council. Acceptable shirts and outer wear will be available in a limited number of colors and styles. Students should dress in a manner so as not to distract from the learning process of other students. Students are required to show proper attention to personal cleanliness, neatness, modesty, and safety. Keeping these considerations in mind, the following guidelines will be followed. For the complete dress code please click here. Shorts and slacks should be properly hemmed. Any cuffs must be sewn closed (no elastic on hem). Shorts, skorts and skirts should be no more 2 ½ inches above the knee (no short-shorts). Capris/pedal pushers/clam diggers are acceptable; however, they should not be tight. No jeans, skinny jeans, tights, leggings, joggers, cargo pants or cargo shorts. No bibbed overalls, corduroy, nylon, sweats, jogging suits, or jumpers are allowed. No fraying, holes or tears should appear on any garments. Solid navy, green, or gray Jewett Academy polo shirts are to be worn Monday through Thursday. Jewett Academy t-shirts may be worn on Fridays. Shirts are to be tucked in at ALL times so that belt is visible. Uniform company has long sleeve polo shirts available. Non-uniform shirts are not to be worn as jackets. If students are cold and require a long sleeved shirt, a navy, hunter green or grey shirt may be worn UNDER their uniform shirt. Hats, sunglasses, visors, bandanas, do-rags, etc. are not to be worn on campus. Shoes must be worn at all times in school. Open-toed shoes and shoes with no back strap are unsafe and are not to be worn. Athletic shoes are preferred. Sweatshirts (zip-up or pull-over) must either have a Jewett Academy logo or be a solid navy blue color with no logo or decoration (available at Wal-Mart, Old Navy, etc.). “Heavy” outer garments (such as coats/lined jackets) must have a button, snap or zipper front. Hoods are permissible but cannot be worn during school hours. Heavy garments are not to be worn inside the classroom. Jackets/coats that are thinner that the uniform jackets are not acceptable. If the temperature is below 50°, students may wear any color HEAVY COAT and KNIT HAT to school but should be removed once in classroom. No jeans(only tan or navy blue long uniform pants may be worn). Jeans are allowed, but no tights, leggings, or tight pajama-style bottoms. Sleeveless athletic tops must be worn with undershirts. No spaghetti straps, sleeveless, off-the-shoulder shirts or mid-drifts. No shirts with inappropriate speech or signs. 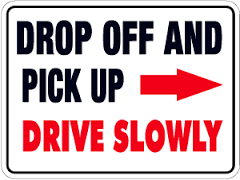 Please see the Jewett drop off and pick up map for traffic flow directions. Community and Service is an important part of the Middle Years Program. It is one of our Areas of Interaction. All students are encouraged to live balanced lives and to care about others; therefore they should look for positive ways that they can help others. Students are members of many communities; such as schools, neighborhoods, and towns, and there are many ways to serve. Jewett MYP students will use their talents, knowledge, and understanding of their communities to determine how they can assist others. Each JMA student is required to participate in service twice a year, 4 hours per year is requiredfor 6th and 7th graders, and 8 hours per year is required for 8th graders. Description/Reflection documents will be available through classroom teachers, and submitted in accordance with grade level guidelines. Students are encouraged to serve on their own, but opportunities for service will also be available through MYP classes. Students will provide a written description and reflection of their experience. This document must be completed for students to receive credit for their service. All documents should be turned in to First Period Teacher by the end of May. Jewett Academy will be holding two Student Led Conferences this year. Please mark your calendars for these conferences which will be held on Wednesday, November 16 and Wednesday, March 15. You may attend your conference any time between 7:30 a.m. and 7:00 p.m. Your child will lead the conference. She/he will tell you about the progress that they have been making this year. You will see a sample of your child’s work and she/he will explain it to you. Your child will answer your questions to show what they are learning. Student led conferences are a time to celebrate the learning that each student has achieved and taken part in this year. It is a time to let your child shine as they take you through a portfolio of their work in their core classes. They will share work samples and personal reflections on what they have learned, and how their learning can continue to thrive and grow. Let your child be in charge, ask clarifying questions, focus on their work and their growth; not simply on the grade. Give them positive feedback on how well they have prepared and what they have shown you. 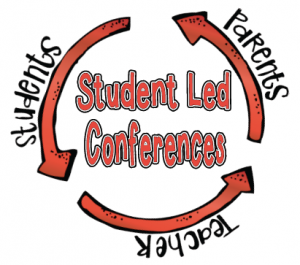 Please remember that this is a student ledconference and not a teacher/parent conference. If you wish to meet with a teacher concerning your child’s academic progress in a course; a conference sign up form will be available. Teachers will be more than happy to set up an appointment with you. Staff will be available to assist students and parents to ensure their experience is both positive and productive. Most of all, enjoy the event and the time spent with your child. We look forward to seeing every parent and student on this day. It is proven consistently by research that direct parent involvement has a monumental effect on a child’s academic and social success. Please be sure to sign in. A dress down pass will be presented to all students attending with their parents. By enrolling a child at Jewett Academy Magnet, parents provide their child with an exciting educational opportunity. Registration of a student indicates that parents or guardians have accepted the responsibility to provide the proper interest, encouragement, guidance and home environment to foster the best possible learning climate. For students, it indicates their willingness to actively participate in their education, to positively represent the school, to display appropriate behavior, to be respectful of others, and to pursue desirable work habits. Jewett Academy expects parents and student to comply with the requirements of our school. Please read the following expectations carefully. I understand my child is expected to attend school every day, to arrive promptly, and to remain throughout the scheduled hours of school. I agree to schedule medical appointments outside school hours. Family vacations scheduled during school hours are unexcused absences. After class absences that equal 10 days (including late check-in/early check-out), the child will be placed on probation. After 10 unexcused absences the student will be referred to the school social worker/truancy officer. I understand there will be no adult supervision for my child before 7:45 am and after 3:30 pm unless prior arrangements have been made with a teacher or staff member. I understand it is my responsibility to sign the emergency information form and to keep all information current, as to phone numbers and adults responsible for my child, and that only the person(s) I have listed on Parent Portal have the authority to pick up my child from school. I understand my child is to adhere to all Jewett Academy school policies and Polk County Schools Code of Student Conduct. Failure to follow school rules could result in disciplinary probation and/or dismissal from Jewett Academy. I understand that as a parent, I must be supportive of my child and his/her school by attending orientation, school meetings, conferences and other school-sponsored activities.